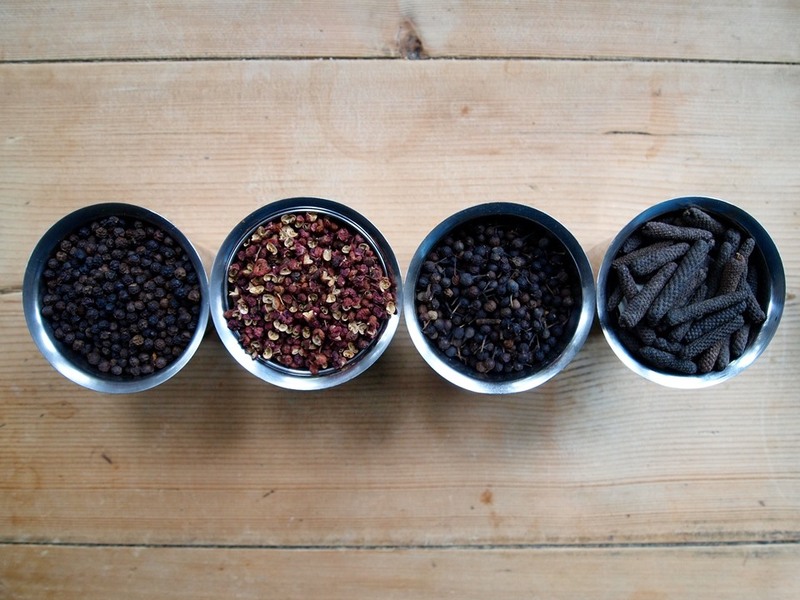 After tasting the world's highest grade Tellicherry Black Pepper during a trip to Kerala we realised that much of the pepper we'd been used to eating in the UK was bland and often poor quality. A subsequent visit to a small organic pepper plantation in the Western Ghats proved how little we knew about something that we used almost every day back home. Everything from how it grows on the vine to the timing of the harvest and how it is dried and graded has an effect on the quality of the peppercorns that we eat. We returned home enthused, on a mission to learn more. Further inspired after discovering Long Pepper and Cubeb, both from the same family as Black Pepper but virtually forgotten by western cuisine, we were spurred on to start Peppermongers - a small, independent Pepper specialists with a big ambition: to bring you the best quality Peppercorns from around the world.